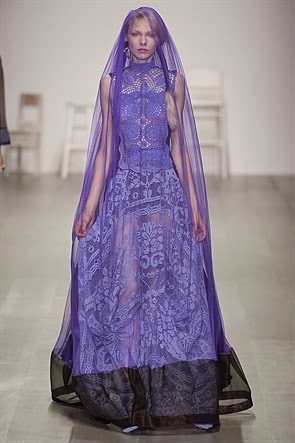 Bora Aksu‘s collections always have an ethereal, fairytale like aesthetic so it’s fitting that his SS15 collection is inspired by fairytale characters. Rather than Cinderlla and Snow White, Bora has been inspired by background characters from the fairytales by the Brothers Grimm, dark fairytales for adults rather than happy tales for children. 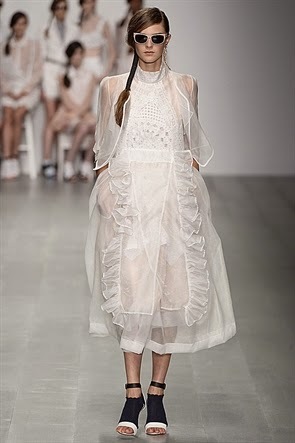 Featuring feminine fabrics and intricate cut out details inspired by paper doilies, the collection adds a delicate, almost vulnerable edge to Bora’s signature style.